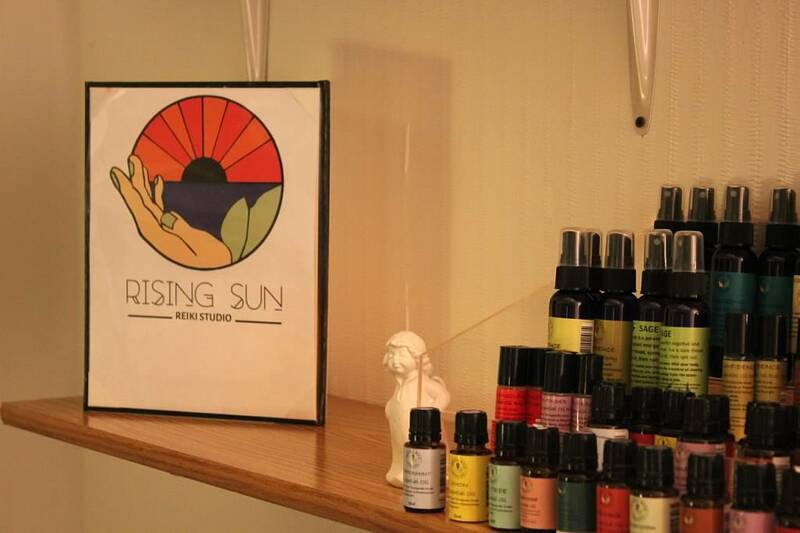 What is the Rising Sun Reiki Studio? Mikao Usui is the founder of Reiki Kyoho Gakkai, the teachings and instruction of Reiki healing. Usui Sensei began his journey by asking the question “What is the purpose of life?” Reiki was revealed to Usui Sensei on Mt. Kurama in February of 1922. It is said that after spending 21 days fasting, Usui Sensei felt a great shock in the center of his brain. This Reiki of the Universe gave him a feeling of oneness with the Universe – he had experienced a true awakening of spirit. This resonance with the Universe filled Usui Sensei with such joy that he immediately set off down the mountain to share his experience with his family, he tripped and injured his toe. As a reflex, Usui Sensei reached down and placed his hand on his toe. The pain was quickly released, and the toe healed immediately! Usui Sensei felt a great calling to share Reiki with others and in April 1922 he founded the Reiki Kyoho Gakkai, where he taught and passed on the power of Reiki to over 2,000 students before his death in 1926. Reiki was brought to the West in 1938 by Hawayo Takata, after traveling to Japan and being healed at the Reiki Ryoho clinic founded by Chujiro Hayashi Sensei, Usui Sensei’s successor. Takata Sensei was a Nisei – of Japanese descent, but born in Hawaii, and brought Reiki to Hawaii after being cured of a terminal illness at the Reiki Ryoho clinic. Takata Sensei began teaching in 1975, and worked with 22 students before her death in 1980. Those 22 students carried Reiki to the rest of America, and eventually to other Western countries such as Canada, Britain, Australia, Spain, Germany, and many more. Learn more about Reiki energy healing here. In the early 1980’s both the Reiki Alliance and the American International Reiki Association were founded. Today, there are thousands of Reiki healers and teachers all over the world. Reiki is spiritually guided energy.